Welcome to St Thomas’ Nursery, Lytham St Annes. Thomas’ Nursery is a privately owned, purpose built nursery which opened in the grounds of St. Thomas’ School, in April 1999. 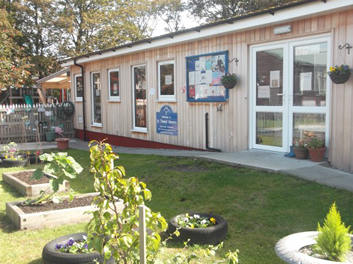 We have expanded in recent years to accommodate more children, whilst maintaining a small and friendly, welcoming setting. Our commitment is to provide high quality early years child care and education for children aged 2-4years. Parents and carers are welcomed as part of our nursery family and we work in close partnership with them. We support a parent’s right to be valued and respected, consulted, kept informed and included at all levels, to provide a service that promotes equality and values diversity. It is our aim to ensure that each child feels safe, cared for and valued and whose individual development is supported by a stimulating environment. Each child is able to explore the nursery and build upon their own interests, what they already know and make relationships with others. Each family will have a key person, with whom they are able to develop a close relationship, where the child feels supported and confident. Parents and carers will have a constant line of communication to discuss their child with someone who is developing their child’s learning journey. The nursery has close links with St. Thomas’ school and work closely with them in all areas, to support our children’s transitions into school, when the time comes.